( 27th July 2013) .. 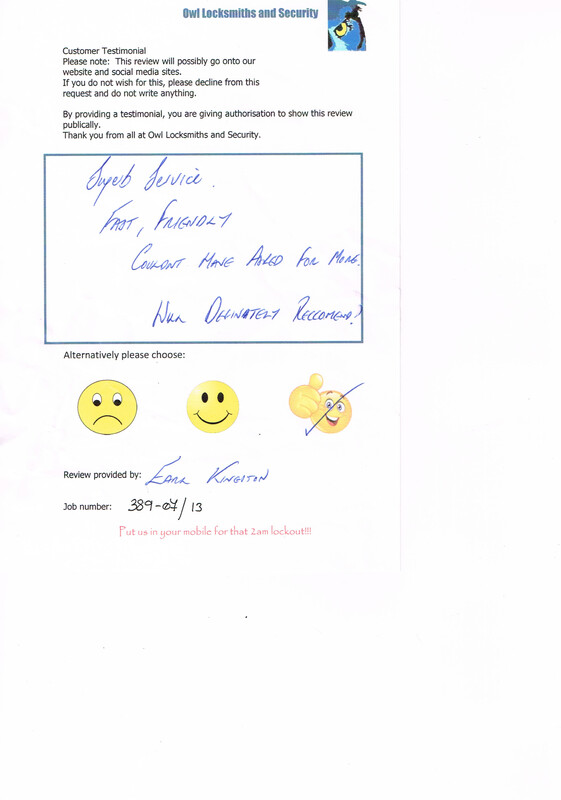 This review was provided by Mr and Mrs Kingston of Lanner who found that the y were locked in their home and required urgent assistance. Superb service, Fast, friendly, Couldn’t have asked for more.